WASHINGTON — Under the F-35 joint program office’s latest plan, follow-on modernization for the Joint Strike Fighter could add up to a total of $16 billion, the Defense Department’s program head confirmed Wednesday. Responding to questions from lawmakers about the price of implementing the new Continuous Capability Development and Delivery strategy, or C2D2, Vice Adm. Mat Winter acknowledged that U.S. and international customers could pay up to $10.8 billion for development and $5.4 billion for procurement of upgrades to the F-35 between fiscal years 2018 through 2024. Last September at the Defense News conference, Winter announced that the JPO had re-envisioned the F-35’s follow on-modernization plan, also known as Block 4, as a more iterative process where software updates would be pumped out every six months. New computing systems, sensors and weapons would also be incorporated during the period. Out of the 53 capabilities that will be introduced during C2D2, about 80 percent are software-related, Winter said during a hearing on the program held by the House Armed Services Committee’s tactical air and land forces subcommittee. “It’s predominantly software, which is what drove us to pursue an agile, repetitive, iterative process to do quick software module updates and provide them to the warfighter,” he said. Because the U.S. share of development costs amounts to $7.2 billion, the United States could be left with a bill of about about $1 billion a year over that seven year period before procurement costs are factored in. Winter said that is “on par for post-development” costs for an upgrade program of this size. The $5.4 billion procurement cost also represents the “worst case,” where the U.S. services decide to push all Block 4 hardware upgrades toward the end of the modernization timeline. “If I have all of the hardware updates in the first year, it would be less procurement cost” because the new aircraft would come off the production line with all of the new systems already built in, he said. If the services decide to do the hardware upgrades closer to 2024, more aircraft will have to be retrofit. Throughout the hearing, the subcommittee’s top two members — its chairman Rep. Mike Turner, R-Ohio, and ranking member Rep. Niki Tsongas, D-Mass. — hammered the JPO over a report to Congress which lawmakers said did not include the requested information about Block 4, such as a detailed cost estimate for the modernization plan. At first glance, the $16 billion figure cited by Tsongas appears to be significantly higher than previous estimates, although it’s not an apples-to-apples comparison with past numbers. In 2017, the Government Accountability Office predicted that the development phase of the Block 4 modernization effort would cost upwards of $3.9 billion, but that figure only included up to FY22 and did not include procurement costs. Winter acknowledged that the data presented to Congress was only “preliminary information,” that included an initial cost estimate, schedule and test plan. However, Defense Department leadership — to include Ellen Lord, its top acquisition official — will not formally sign off and certify the final acquisition strategy until Winter meets with the defense acquisition board this June. Although the House and Senate armed services committees have remained broadly supportive of the F-35 program, lawmakers have criticized the Block 4 program — and now the C2D2 effort — for what is seen as a lack of oversight. 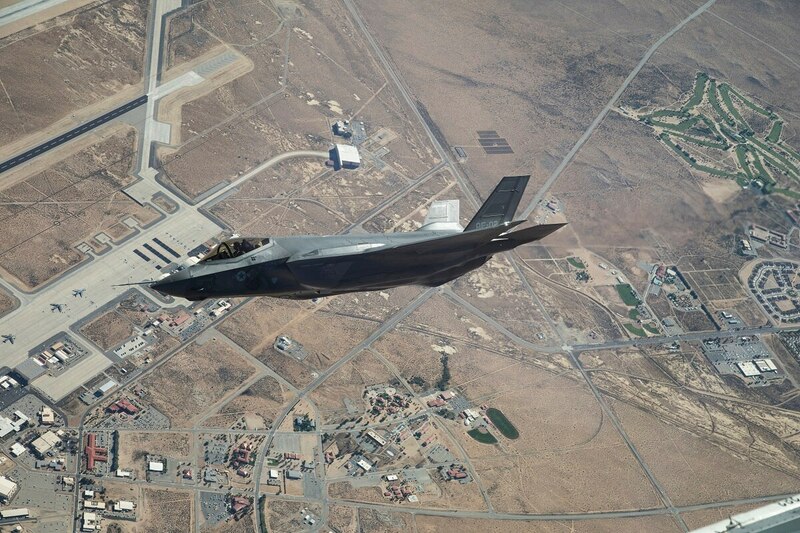 Some members have contended that F-35 modernization should be managed as a separate program of record, as its costs amount to more than many major defense programs. However, the JPO has sharply opposed those efforts, arguing that splitting the program could actually drive up the price. Asked by Tsongas about his thoughts on the C2D2 effort, the Marine Corps’ deputy commandant for aviation soundly a cautiously optimistic note. “I think none of the services has a true comfort level until we get the cost of how this is going to happen scoped out,” Lt. Gen. Steven Rudder said. However, he noted that the C2D2 approach could enable the jet to be more adaptable to threats. “One thing about the C2D2 I think that sometimes gets clouded is how rapidly the threat and the pace of technological developments that [adversaries] are progressing at,” he said. “There will be some budget decisions that have to be made. If the scope of the work comes in at the level that is proposed ... we are going to be able to handle that. Lt. Gen. Jerry Harris, the Air Force’s deputy chief of staff for plans, programs and requirements, said the service intends to fully fund the program, but is looking for ways to reduce cost.